Show of hands: whose favorite season is fall? I love fall. To be fair, I just love living in a place with four distinct seasons—I love each snowfall, I love watching the flowers come out in the spring, I love the sunny days and even the thunderstorms of summer. But I really love the cooler weather of fall. There’s just something in the air. I don’t know. If you’re another fall enthusiast, you know what I mean. 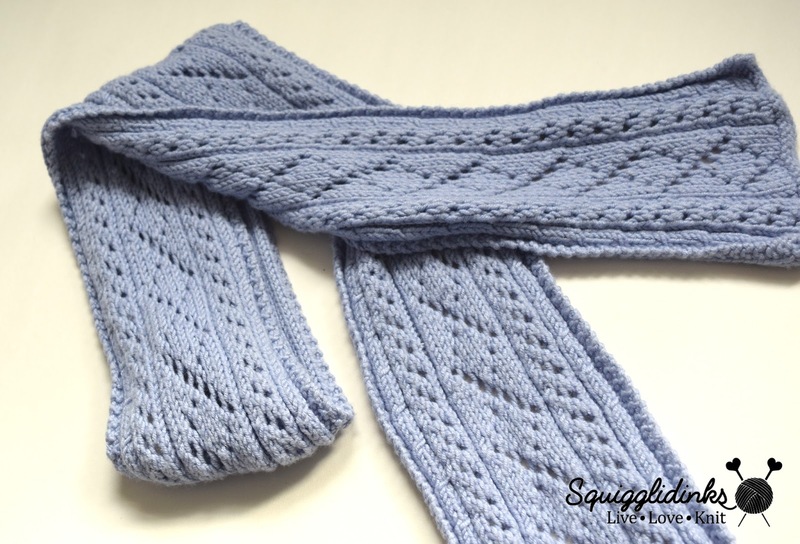 If you’ve never knit lace before, it’s a lot easier than it looks. 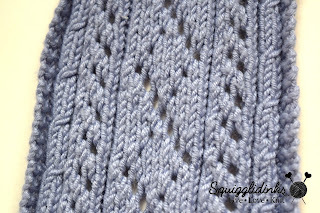 It’s just basic knit stitches with a couple of additions. You’ll see this combination in the pattern a lot: yo (yarn over), k2tog. This combination takes up two stitches. You start with the yarn behind your work, since you’ve just knit the last stitch. Bring the yarn to the front as if you’re going to purl. Then k2tog, bringing the yarn over your needle. You should end with two stitches, one being the loop you just created as you brought the yarn over your needle (this is where the holes in lace come from) and the other from the k2tog. Finished width: If you stretch the stitches out, it’s about 6”, but because it’s done in a kind of ribbing, it scrunches up. Its relaxed width is about 4”. This photo gives a better idea of the actual color of the yarn than the title image. 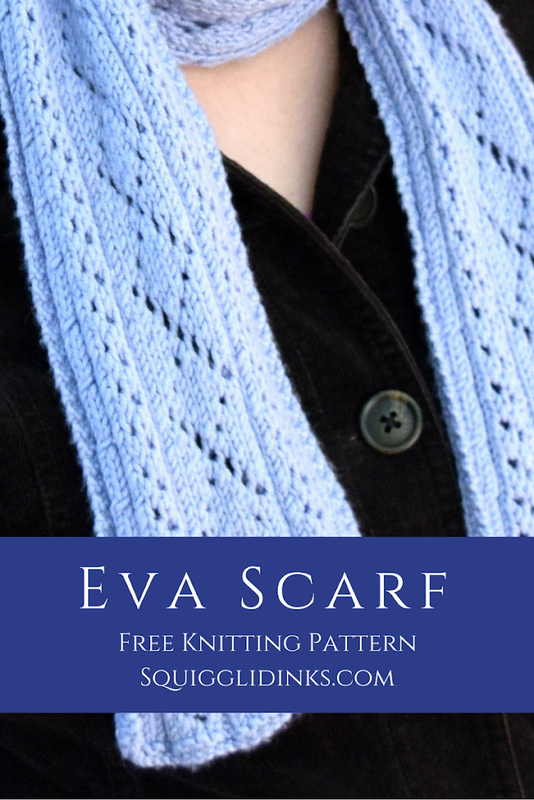 This pattern is available as an inexpensive, ad-free PDF via Ravelry. Cast on 37 stitches. 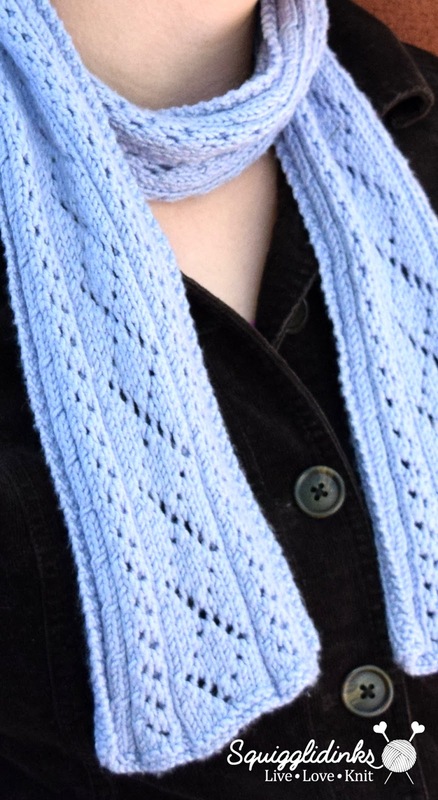 Knit 4 rows. Repeat these 12 rows until you’re nearly out of yarn. 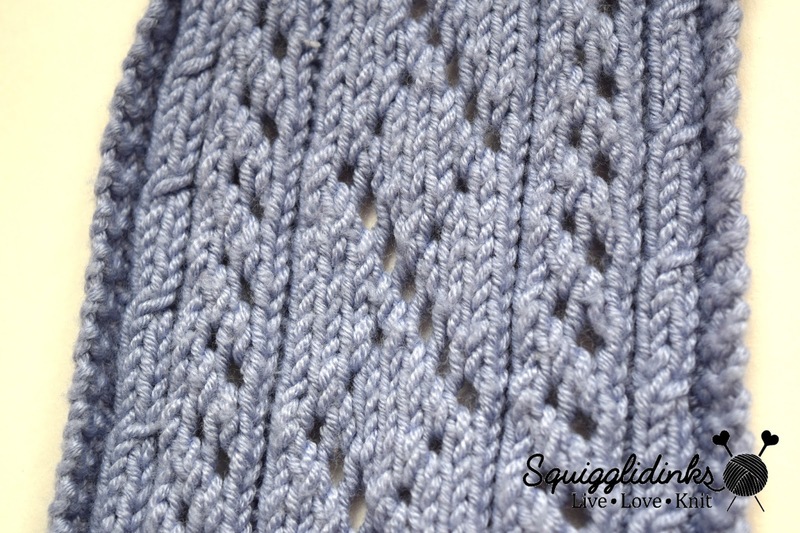 Knit 4 rows. Bind off.